Bermuda shorts, walking shorts, nylon jackets, and pant sets are permitted. Denim, cutoffs, athletic shorts, cargo shorts, swimsuits, and fleece or sweatshirt sweat suits/pants are not permitted. Shorts must be fingertip length or longer. Jeans are not permitted on the golf course, including the area around the practice green. Collared shirts or turtlenecks must be worn by all men. Ladies may wear collarless shirts ONLY if they have sleeves and sleeveless shirts ONLY if they have a collar. No tank tops are allowed. All shirts must be tucked in and all hats MUST be worn forward. Shirts and pants with logos or writing, other than golf logos, golf-related emblems or pocket logos, are not permitted. Golf shoes are required on the golf course. Flip flops are not permitted anywhere on the course or the practice areas. When in question, the Golf Shop merchandise can be used as a guideline for appropriate attire. All groups playing at Taberna Country Club will be expected to follow the set Pace of Play Guideline as determined by the Head Pro. All foursomes are expected to maintain a 4 hour pace for 18 holes. 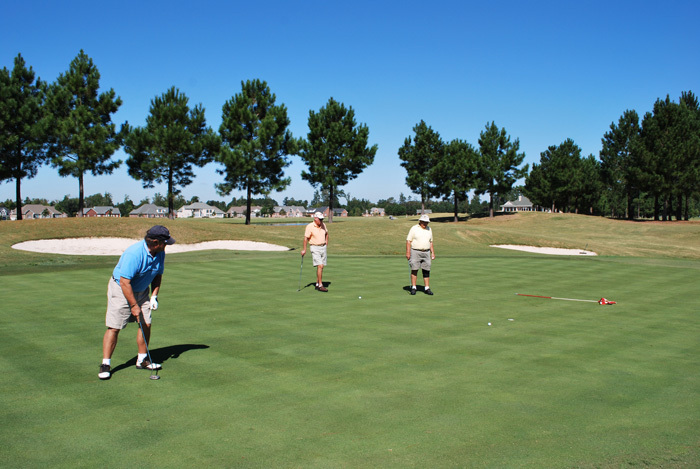 Failure to maintain this pace of play will result in your group being notified to be moved back into proper position or to allow the groups behind you to play through. Outside food and beverage are NOT permitted at Taberna Country Club. Our Pro Shop is open and accepts cash or credit cards for the purchase of beverages needed before the round. Our dining room is open year round 11am-4pm for lunch, take out (252.634.1600, Ext 3) on the turn or for dining-in as well. Alternatively, in the summer months, our Par 3 grille at the pool house building on the turn is open from 11 am-6pm, weather permitting.